Calum Chambers: Did He Deserve the August Player of the Month Award? When Arsenal signed a relatively young and inexperienced defender for a whooping 16 million pounds, few thought that was another over-hyped English lad but many were also aware of his massive potential and just the tender age of 19, he has been thrust into the action of Premier League and Champions League football for Arsenal. To make things a whole lot sweeter, his versatility has ensured that he has been used in two different playing positions this season, and the manager still harbors hopes of playing him in a third position further up field. After a good preseason preparation, Calum Chambers played alongside Laurent Koscielny in the FA Community Shield against Manchester City and he was part of the defense that kept a clean sheet as the Gunners ran out as 3-0 winners. With Per Mertesacker given an extended break from his World Cup exertions, Chambers had his competitive debut with the same partner in the Premier League curtain raiser against Crystal Palace. Despite his tender age, he had a great game, making some inch-tackles as well as showing off his great passing range. This was followed by a Champions League qualifier against Besiktas SK and he went on to have a good game, even though he committed an error that wasn’t punished the opposition. As the games kept piling up, Chambers started with a new partner, Mertesacker, when the Gunners visited Goodison Park but he didn’t have the same influence he had possessed in previous encounters as his team grabbed a spot in the back pages following a spirited late surge to share the spoils. In the return leg against Besiktas at the Emirates, Chambers watched from the dugout from the start of the game but he was summoned when Matt Debuchy was brandished a red card. He moved to his favored right fullback position and almost created a goal for Alexis Sanchez that was launched into orbit. Chambers’ last game for the Gunners was in the disappointing draw against Leicester and he came on for an injured Laurent Koscielny and he didn’t put a foot wrong all game long. In just three Premier League games played so far, Chambers has made seven tackles and an astonishing 21 clearances, averaging seven per game. However, Matt Debuchy has the most tackles in the team (12) as well as the most clearances (24). Mertesacker edges his defensive peers out in interceptions (5) or, Merteceptions, as they’re fondly know it’s in part of the world. After a survey uploaded on the official site, Arsenal has confirmed that Chambers in the August Player of the Month, with 34.8% of the votes, surpassing Alexis Sanchez (33.4%), Aaron Ramsey (17.2%) and Others. (14.6%). In my honest opinion, it’s an award that was well-deserved. For a player that age to show maturity beyond his years, the future looks really bright for the lad. Chambers has handled the expectancy well, he’s eager to improve himself and his talent knows no bounds. Getting the lad from Southampton has been an absolute coup and Arsenal fans can sleep well at night with the confidence that Chambers can do a good job on the pitch when he’s summoned. With the Gunners challenging for four different competitions this season, Chambers is odds on to have his fair share of games and the fact that he’s a versatile lad gives him a good edge. If he continues to put his head down and work hard, things can only get better for the lad. Congratulations to Chambers on this award. 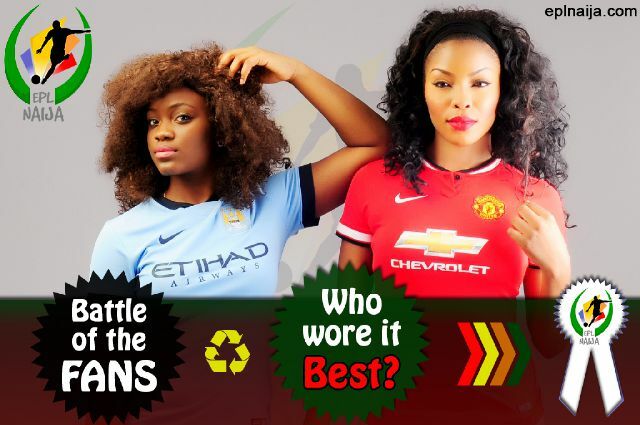 Battle of the Fans – Who Wore it Best? This is a featured article I’m writing for eplnaija.com, a fast-growing Nigerian site with guys that are really passionate about what they’re doing. These guys continue to impress me with more innovative activities and I’m also proud to be a player in their inaugural Fantasy Premier League competition where there are loads of prices up for grabs. Football, as we know, is a sport that binds people together. It’s a common language that is spoken all over the continent and the most significant thing about the beautiful game is that it unites people of all ages, races, cultural beliefs, religion and the whole nine yards. Football, like any other sporting business, also has it’s benefits – players, managers, agents and backroom staff all get paid for their contributions to the running of a club and the fans also play their part in a team’s success story. After all, they’re the ones buying the season tickets and merchandise with each passing campaign. That’s were an ingenious site like EPL Naija comes in. The site is so robust, that despite the fact that they provide updates with fine articles about the latest stuff going on in the Premier League with at alarming consistency, the site also publishes Premier League match reports, transfer news and of course, there are competitions for the fans to win lots of stuffs. Last week, the site published a ‘footy quiz’ competition, where a fan had to answer 10 questions and he/she would be awarded with a jersey of his/her favorite club. As I attempted to apply my knowledge of football in my bid to win a free Arsenal away kit (I already have the home kit), I’d noticed that Sheikh Socrates, the resident blogger of Soccergunz, had beaten me to it and attempted all the questions in grand style. I still answered all the questions nonetheless but I learned that the award was to be given to the fan that attempted them first. In their bid to show their integrity, the folks at EPL Naija came to Socrates’ office to give him his prize. The idea is really simple – a female football fan has to take a picture of herself (selfie) in her favorite jersey jersey striking a pose. 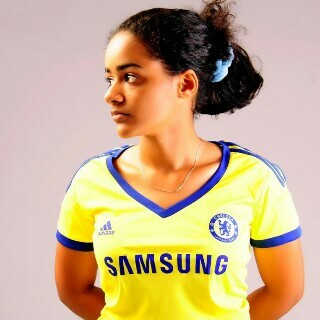 Then she uploads the selfie on Twitter / Instagram / Facebook with the hashtags #eplnaija #whoworeitbest. There are amazing prices to be won for the best pictures. For more details on this innovative competition – please click here! You can follow EPL Naija on Twitter – @eplnaija. They follow back immediately. 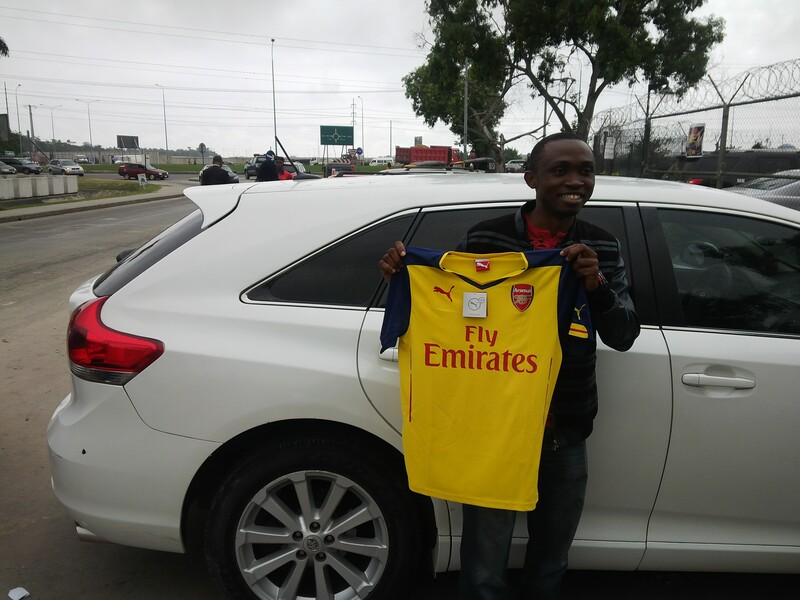 EPL Naija – It pays to be an EPL fan, literally. Canon Crested’s Arsenal Prediction League Resumes!!! Paul the Octopus became a famous personality due to its ability to predict the outcome of a match between two teams. It’s not like good ol’ Paul was going to raise its tentacles to predict the exact scoreline, all it had to do was move to the box that had a flag on it and bob’s your uncle. Give it to good ol’ Paul, prediction of a game isn’t easy because there are so many factors that come into play. Has Team A been in a good run of form? Is Team A’s striker still scoring for fun or has he hit a goal drought? But Team A is used to drawing so many games, are they going to win the next one? Bleeeh, too many bloody scenarios in my head. Is that a rainbow I see? When that “Team A” is Arsenal, it becomes a different ball game. Arsenal is the kind of team that would win FC Barcelona and draw with Leyton Orient shortly afterwards. The team that would go on a seven-game winning streak and draw with West Brom thanks to a Jack Wilshere deflected strike. A team that would lose its first game of the season to Aston Villa then beat Fenerbahce a few days later. But hey, that’s football. That’s where a Gooner like Canon Crested comes in. With a website that offers a platform for many Gooners to interact with each other, the folks at Canon Crested have come up with an ingenious competition that offers Gooners to make predictions on Premier League, Champions League, FA Cup and Capital One Cup matches with a lot of prizes up for grabs. The site also has a Fanzone page that offers Arsenal fans a chance to air their views to the internet world. I have been featured in the page and it was cool sharing some of my personal info about Arsenal using that platform. 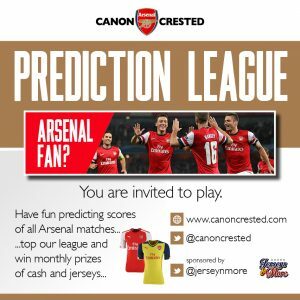 Canon Crested launched the Arsenal Prediction League initiative last season and I was part of it but unfortunately, my prediction skills were no different from Yaya Sanogo’s ability to score in a competitive game. Imagine predicting the scoreline and who you think would score first in Arsenal’s next game everything pans out just the way you wanted it to. Arsenal’s win would have given you some satisfaction but your correct predictions would make you even happier. Registration is as easy as Howard Webb’s ability to give a Manchester United player a penalty when he *coughs* in the box. All you need to do is to go to the site and register. In your spare time, feel free to check out the rules as well. 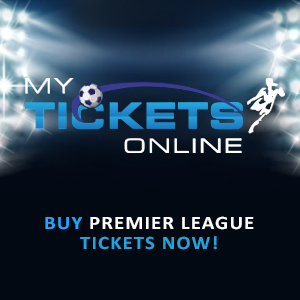 Before any Arsenal game, log in to the site and predict the score of the game. Also remember to choose the first Arsenal player you think would score to give you extra points. The League is open to Arsenal fans anywhere you are in the world. Maximum points you can get per game is 6 points and every game previous points earned are added to your new points earned and you move up or down the table like a regular football league. Points are accumulated like a regular league table and we have cool prizes (jerseys, caps, scarfs and cash rewards) from sponsors, Jersey’ n More. The league is split into two sessions with the first ending in January and the second ending in May 2015. At both points, Canon Crested declares a winner but there will be monthly prizes for the most improved player for the month. So if a lucky Gooner is the monthly winner, he’d get an original Arsenal replica jersey from @jerseynmore, for Arsenal fans outside Nigeria you get the value of the jersey credited to your PayPal accounts. Cool stuff yea?? This season promises to be bigger and better with more prizes up for grabs and I’ve wasted no time in registering for the campaign ahead. I urge you, my esteemed readers, to do the same. 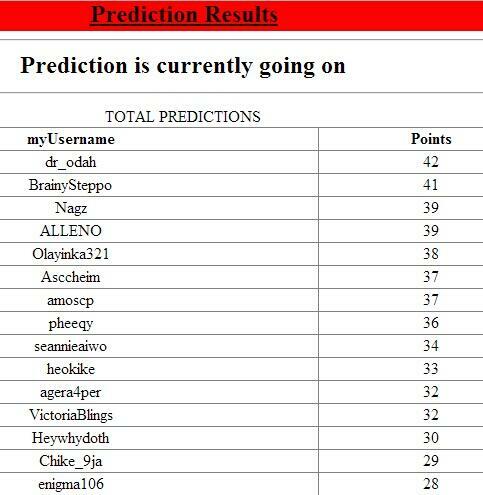 For more information on the Prediction League, please follow @canoncrested and mention him if you have any complaints, inquiries or suggestion.